Inbox zero: it's the impossible dream that gets further and further away as you let your emails pile up, but you don't have to get stuck with the clutter. Thanks to an awesome web app called Mailstrom, I finally got my thousand-email inbox under control in an hour. Here's how to do it. Inbox zero is a lofty and often unachievable dream for most. For a long time I just assumed that emails would rule my life. Almost by accident, I came across a web app called Mailstrom and decided to give it a try along with other options. After playing around with it for an hour, I noticed something strange: my inbox was virtually empty. I had gone from about 1000 emails to about 50, replied to the most important and found myself at zero all while watching an episode of Breaking Bad. In fact, it happened so fast that I thought it was a mistake. Mailstrom doesn't do anything particularly mind-blowing or new, and you could do a lot of the same stuff with some fancy Gmail filters, but it's free to use indefinitely and requires far less effort. On top of that, it works with any email account, not just Gmail. If you want to get to inbox zero and even watch a little television in the process, this post will show you how it's done. If you have additional email accounts to add, look for the "Mail Accounts" dropdown menu in the upper right-hand corner of the web app. Click it and choose "Add Account" until you've added all of your email accounts. Clearing out your inboxes will go much faster if you add all your accounts in the beginning. After adding each account, Mailstrom will take a minute or two to index your messages. While indexing is taking place, click on the "Mail Accounts" dropdown again and choose the Settings page. While there's not much you can do here yet, familiarising yourself with the page will help once you get started because you can see where you'll manage various aspects of your account, such as unsubscriptions (to newsletters) and message moving rules. Mailstrom also sends out an "inbox suggestions" email on a daily basis by default. If this is too frequent for you, change it to weekly or monthly and click the Mailstrom logo on the top left to go back. With your settings in order, you just need to wait for indexing to finish. Chances are it will be done by the time you get back to the main page, but it may take a few minutes if you have lots of messages in your account. When complete, you're ready to start clearing out the clutter. Your inbox contains a variety of different messages, but it will fill up fast with email newsletters if you're subscribed to enough of them. As a first step, unsubscribe yourself from as many as possible. To do this, click the "Lists" section from the menu on the left. You'll find all your message views in Mailstrom through that menu. We'll learn about the others later, so don't worry about that for now. In List view you'll see the mailing lists that you are 1) subscribed to and 2) appear in your inbox. If they are not in your inbox, you won't see them in this view, which is why it's important to start the cleaning process here. To start, select any mailing list from the middle pane and you'll see the most recent message or a list of recent messages from that sender. Up on the top left, you'll see a big orange "Unsubscribe" button. Click it if you want to unsubscribe, or click the green "Archive" button to simply remove it from your inbox for now. Most of what you'll do in Mailstrom involves selecting messages you want to remove from your inbox and clicking that green "Archive" button, but when in the Lists section you'll want to unsubscribe from as many as possible rather than simply remove them so they don't cause clutter in the future. When you're finished, we'll attack the rest. Mailstrom helps you view and sort your email in new ways so you can clear out your inbox, but it also teaches you about your email's behaviour in the process. Although not the primary purpose, each view offers statistics. You can see who you ignore email from the most, when the majority of your email comes in, who sends you messages with large attachments and which social networks clutter up your inbox. Don't just let this information pass you by — learn from it so you can prevent your inbox from becoming cluttered again in the future. Sender: Mailstrom will sort your inbox by sender and put the most frequent senders up at the top. This way you can see who's filling up your inbox the most. Consider the top 10 and why you're getting so much email from them. Figure out if there's a way to reduce it, or if you're simply ignoring them and leaving their messages in your inbox. Subject: This view groups emails by subject, which isn't all that different from how you see them in your inbox already. That said, you can benefit by using the filter search up top. Filter search exists regardless of the view, but in the subject view you can filter by — you guessed it — subject. This can be useful to figure out what words appear in your email subjects more often than not. If you see a pattern, try filtering on the relevant term to get an idea of what you're talking about in most of your emails. Is it necessary or useful? If not, consider how you can cut back on a given subject that's wasting your time. Lists: We covered the list view in the previous section. It's where you can unsubscribe from mailing lists. Time: Time shows you when certain emails came in. Do you have more really old emails or more from today? Ultimately you want your inbox to consist more of recent emails, so if you have many old ones you should look through them later and make the tough decision: answer now or hit the delete key. Social: Social networks love to send you notifications to get you back on their sites. You'll find all those notifications in this view. If you're getting too many from one network, log in and adjust your notifications settings so they don't bury important emails in your inbox. Mailstrom can filter these out for you automatically, but we'll talk more about that in the next step. Shopping: Emails in this view relate to shopping and are just another kind of notification. Perhaps Amazon is reminding you to check out a new product, or you're just getting a lot of receipts in your inbox that you don't necessarily need. If this is the case, just filter them out (using the process described in the next step) or adjust your settings with online retailers so you don't receive emails you don't want. Size: Size isn't particularly useful for learning your email's patterns unless you get a lot of emails with giant attachments. If certain people keep sending you large files at regular intervals, you'll see that here and should ask them to stop. 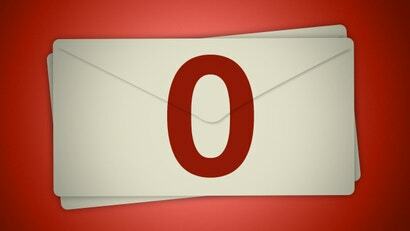 Once you've learned your email's patterns and made any relevant adjustments, you can make your way to inbox zero. Mailstrom helps keep your inbox organised by filtering out messages you may want to keep but don't necessarily need to see in your inbox. The feature works much like Gmail filters, but it can do it with any email provider. To set up a rule, just select any number of messages in a particular view and click the blue "Move" button at the top right. Mailstrom will ask you where you want to move the messages. You can choose any folder or label in your account. There's nothing inherently special about this action, except you'll also see a little checkbox every time you move something. It will ask you if you want to perform this action automatically in the future when similar emails arrive. If you check it, you've set up a rule. (Remember, you'll find existing rules on your Settings page and can remove them there later on.) This will help clean up your inbox automatically so you don't have to bother. Getting to inbox zero is actually the easy part. Now that you know all of Mailstrom's views and what they can do for you, and you've set up rules to keep your inbox in good order, just work your way through each and start archiving messages you don't care about. Sorry I've been out of touch and your message got lost in my inbox. Do you still need my help with this? Obviously that message is a little broad, so feel free to tailor it to the matter at hand. Just keep messages brief and to the point. If you need to act on them, the sender will reply and let you know. If not, you don't have to do anything more. While this may seem tedious, you'll reach inbox zero a lot faster than you may expect. Because Mailstrom's views group similar emails together so well, you'll power through your archiving tasks in no time. I found the Sender view to help me the most, but you'll likely have a favourite after you've explored the various views. Before you know it, you'll be at zero and you'll be more likely to stay there thanks to all the actions you took and rules you set up earlier. No matter what you do, emails can still pile up. If you set up Mailstrom to do most of the work, you'll have an easier time keeping a clean inbox without ever really using the web app again. If things get out of hand, however, Mailstrom's there to help you out. Just log in, repeat these steps again, and create more aggressive rules. No matter what tools you use, a clean inbox requires effort on your part. Mailstrom just makes the job a lot easier. This is a very interesting post. I actually already maintain a 0 inbox, but I will still check it out to see what I can learn about my email behaviour. I feel that I waste so much time in my inbox, so any tools that help to get out are great. To keep my inbox clean I use a simple tickler folder system, maybe it's a bit over the top, but it seems to be working for now. If you don't want to deal with the email when it comes in, just drag and drop emails into day folders (19, 20, 21) when you want to reply. That way when you leave the computer at the end of the day it's the inbox clean. Anyways, thanks. Well, only have to wait for 12 000 + people before me have their inboxes sorted, then I can give it a try!